One of the things I love about the work I undertake each day is that you never know what you are going to find, the internet is such a vast and powerful tool, much like the sea you never know what it’s going to present on its shore. Of course not everything is useful and I can assure you we’ve seen and heard just about everything in over five years of searching for content each day. Which makes unearthing the elusive, engaging and inspiring projects all the more rewarding when you do come across an individual who is running against the grain and undertaking a lifestyle they are immensely passionate about. 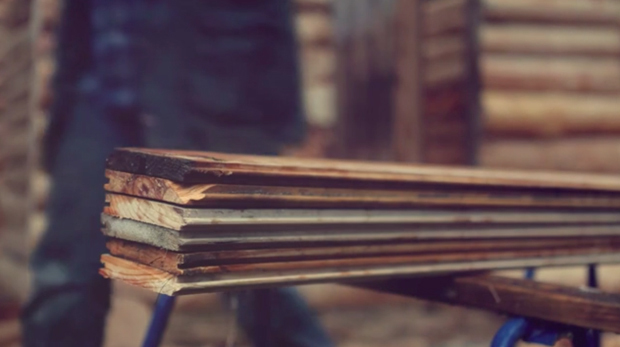 Rohan Anderson is one of these individuals that makes our internet searches so satisfying, I stumbled upon this captivating film about him earlier which documents him achieving one of his life’s goals – to build a log cabin smokehouse. I’m sure not all of you will remember this but it wasn’t too long ago when I wrote about another individual who was inspired by the idea of smoking meat and fish, Norwegian Ole Martin Hansen who operates out of a small space in Shelford Place, London. Watching his film over got me really fascinated by the overall process of a traditional smokehouse, there’s such a science to getting the right balance of flavour so when Rohan’s project appeared in my feed I was fascinated to learn more. What I didn’t realise initially was that this project was more focused around Rohan putting together his smokehouse opposed to the actual experimentation of using it, however I enjoyed this just as much and I was sure this would be a nice added addition to our archive. You may have even crossed paths with Mr Anderson in the past as the victorian grower, gatherer, hunter and cook runs his own humble blog where he shares the results of his ongoing food experiments, with a dash of humour and some stunning imagery that will make your stomach rumble. I’m certainly going to be giving his blog a follow to see what I can learn from his latest creations, who knows one day maybe I’ll give this a try myself. In the meantime I’d just like to prewarn those amongst us that don’t like to see violence amongst trees, Rohan does cut a good amount of trees down in the process of building his log cabin. However before we get inundated with comments disputing the morality of this, I genuinely believe that this has been built with longevity in mind and for the right reasons. Enjoy!